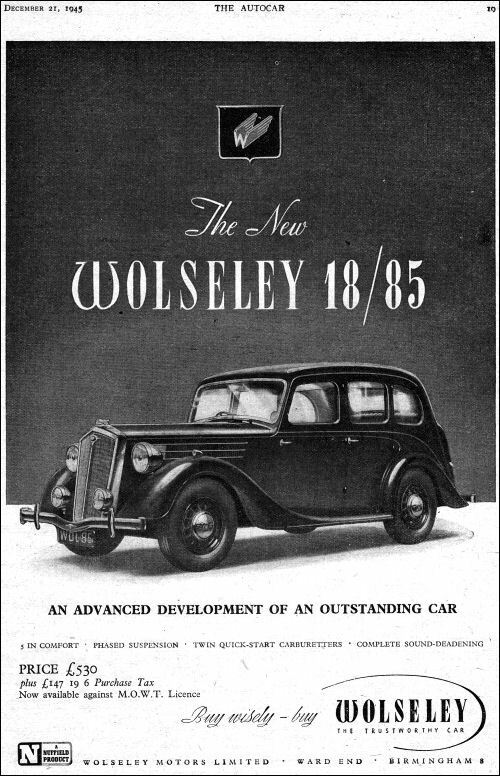 Wolseley Eight could be called a refined edition of the Morris Eight. It didn't make production pre-war, but was finally introduced in March 1946. 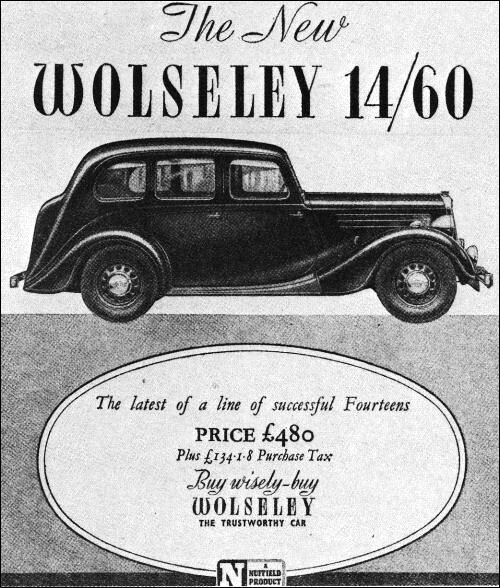 Sharing Morris semi integral chassis and main body, it has traditional Wolseley bonnet and radiator with separate headlamps. Trimmed out in leather and wood it also features the traditional Wolseley radiator grille, incorporating the illuminated oval badge of the marque. It is produced, only as four-door Saloon. 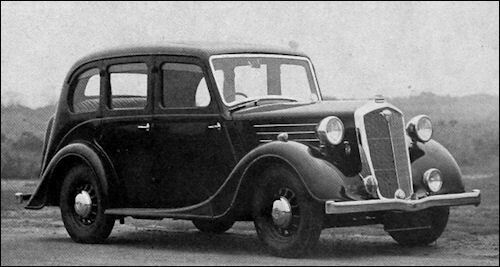 With an overhead valve version of the 918-cc Morris Eight engine, and with an output of 33 (v. 29.6) bhp is the most powerful (and only OHV) post-war 8 HP car. 17cwt means leisurely 65 mph performance. 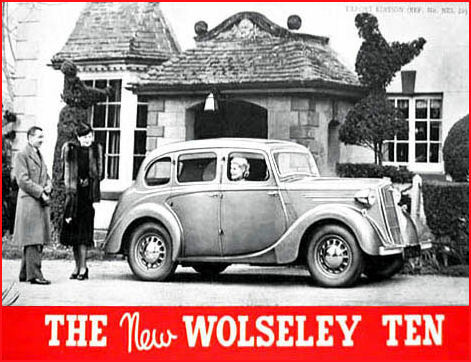 January 1939 Ten model was re-introduced in 1946 as upmarket version of current Morris. It has separate chassis in place of unit construction, and all round cart springs. Hydraulic drum brakes, built in jacking system and 40 bhp 1140 cc engine giving 70 mph. Leather and wood interior, and traditional Wolseley radiator with illuminated badge. 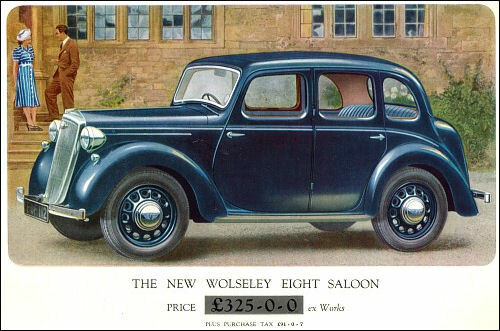 Continuation of 1937/1938 models re-introduced in 1946 and known collectively as Series 3's. All has substantial separate chassis, cart sprung beam axles and traditional coach built bodies with leather and wood interiors. 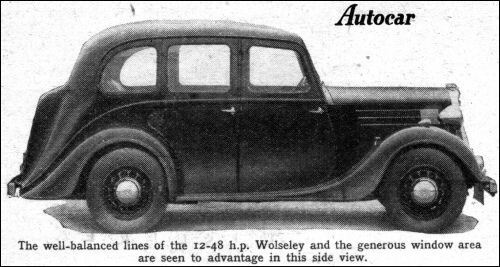 Traditional Wolseley radiators, with illuminated badge and separate headlamps, built in jacking system, opening windscreens and sunroofs. The 12/48 is in production from December 1945. Has a 44 bhp, 1548cc (69.5 x 102 mm) ohv engine, 98" wheel base, and 62 mph top speed. Only saloon bodywork is offered, with or without sliding roof. The 14/60 has twin carb 60 bhp six cylinder 1818cc ohv engine, 104.5" wheel base, and 70 mph top speed. The 18/85 also has 104.5" wheel base, but 85 bhp six cylinder 2322 cc engine, and top speed of 80 mph. Fitted with radios and bells these are favourites of the police.